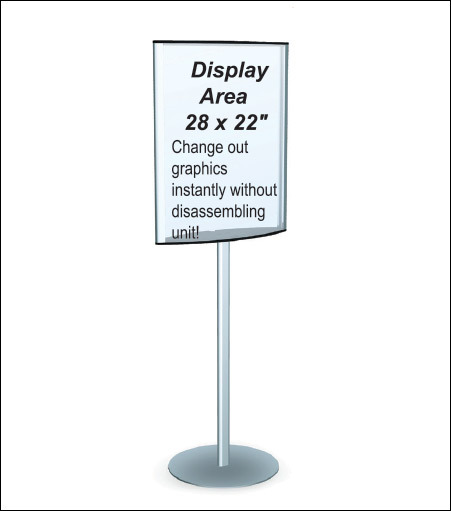 Our Curved Sign Face Frame is a dramatic, stylish, elegant two sided curved design that is perfect for exhibits, retail, restaurants, trade shows and malls. Accepts semi-rigid or rigid material up to 3/32" thick. Styrene is ideal (.040" minimum; .060" recommended).